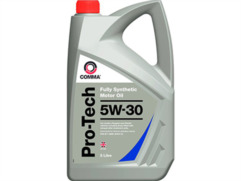 Fully Synthetic - Ultimate Protection - Maximum Performance Fully synthetic high performance 5w-30 low SAPS* oil specially formulated for the latest petrol and diesel engines fitted with exhaust after-treatment units** that require an ACEA C2 grade. Provides maximum performance with improved fuel efficiency and helps reduce emissions. Ultimate low temperature performance to reduce start-up wear. Service Classification : ACEA A5 B5 C2 API SM CF Meets requirements of : PEUGEOT & CITROEN *Low SAPS = low Sulphated Ash, Phosphorus and Sulphur content. **Exhaust after-treatment units = diesel particulate filters and catalytic converters. Click Here to save even more money with our special case offer on this oil at a discounted price.